Commercial carpeting has evolved much over the years from stiff, unfashionable, and function-oriented. Commercial carpet now offers more options than ever before — different patterns and prints, different textures and construction types, and a plethora of different color variations. Industrial and durable, commercial carpeting is an obvious choice for business applications; its tight, low, compacted construction is able to withstand high traffic and office activity better than any other carpeting option. 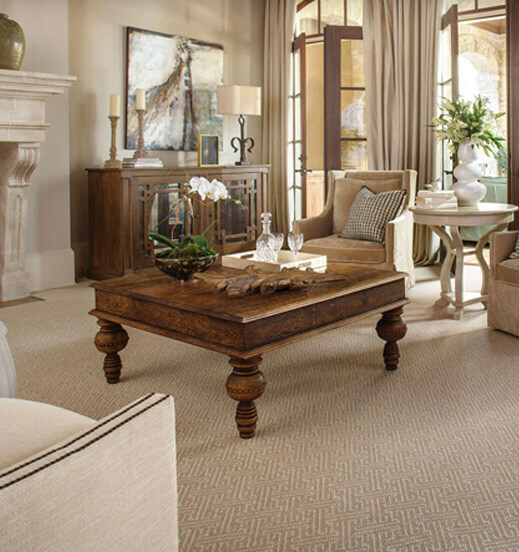 However, more homeowners are beginning to choose commercial style carpeting in their home, for a few reasons. 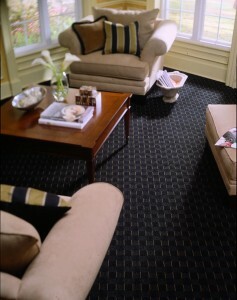 Firstly, it is an economical choice, almost always more affordable than other carpet options. Secondly, commercial carpet is one of the only carpeting options that is wheelchair friendly, because of its flat, low pile construction. One drawback of using commercial in your home, however, is comfort; because of its flatness and the use of thinner padding, it does not provide as much cushion underfoot as other carpet styles.